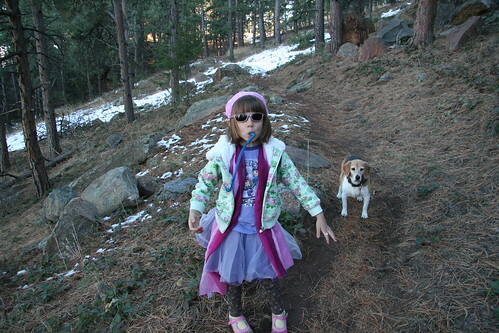 I asked Sydney if she wanted to do a little hiking with the dogs today. Sure! 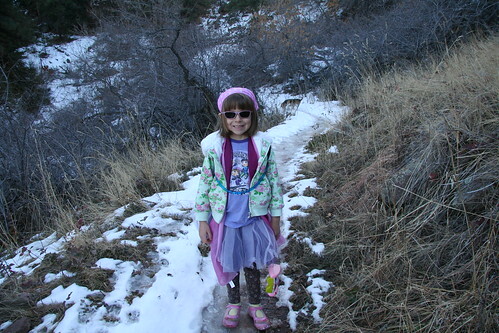 So she comes down in her hiking clothes. What do you think? We left Reagan and Kim behind because Reagan walked 10 feet and started crying about how her feet hurt. The real trooper carried on and herded the dogs along. Sydney was particularly frustrated that Dakota kept eating the snow. This girl takes after her Mom. She has to hydrate constantly! 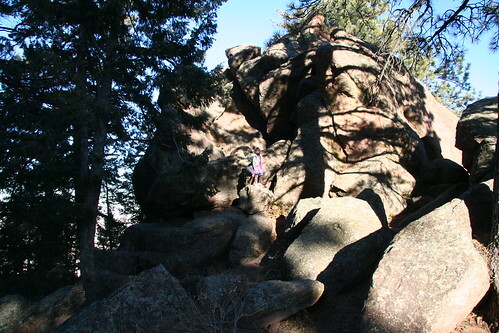 We came upon some rock formations and without missing a beat, Sydney hopped up on them and climbed to the top. No fear. It was me saying “be careful!”. We were about a mile away from the car at this point. So we called Kim and had her come pick us up so we didn’t have to re-cover our tracks. 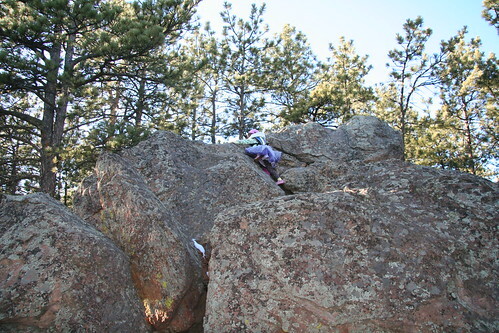 While waiting Sydney complained that I never let her climb for long enough. I explained to her that when I ask her what she wants to do on the weekend and she says “nothing!” — remember, this is an option! All in all — I love taking this kid outdoors. Never complains and always loves to find a new adventure. Except for when we were going up this small icy stretch and she told me that “she didn’t sign up for this!”. What the hell?